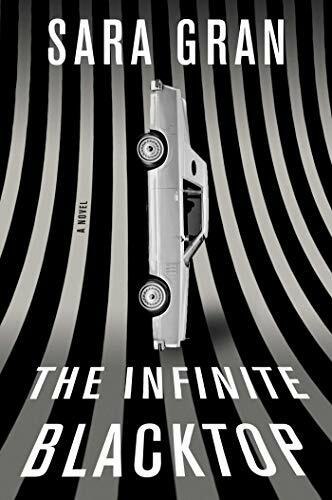 The Infinite Blacktop is Sara Gran’s third novel featuring Claire DeWitt, self-proclaimed “world’s greatest detective,” in an extraordinary series that blends the tropes of locked-room mysteries, noir thrillers, and girl-detective stories with a touch of far-eastern mysticism thrown in. For the uninitiated, 40-year-old Claire is the woman Nancy Drew might have become if she had been raised by indifferent parents, developed a fierce drug habit, got seduced by the occult, was sexually promiscuous, was wracked by depression, and could never forgive herself for failing to solve the disappearance of her close childhood friend Tracy. Of course, Claire’s devotion to Silette’s methods makes her a pariah to the police and to other private investigators. But Claire (and Gran) are operating on a higher plain. These novels are not just about solving mysteries. They are explorations of the nature of mysteries themselves. As The Infinite Blacktop opens, it is 2011, and Claire is struggling to regain consciousness. Her car has just been deliberately T-boned by a much heavier vehicle. The most pressing mystery she must solve, then, is to find out who is trying to kill her and why. But it is not the only one. Not long before the accident, Claire had unearthed copies of a rare comic about a girl detective that she and her friends loved in their youth. And inside it, she found a clue to Tracy’s long-ago disappearance. Might this and the attempt to murder Claire be related? As if that weren’t enough, Gran also takes the reader back to Los Angeles in 1999, when a younger Claire, working for another private eye, was tossed a cold case about a famous artist who was killed in a car crash that might, or might not, have been accidental. Gran moves seamlessly between the three threads in her quirky, original writing style. In the end, Claire solves two of the mysteries, albeit at great personal cost, but the third remains unresolved. In a Claire DeWitt novel, this is how it should be. “Unsolved mysteries bring more joy than solved mysteries, “Silette wrote. “Once the truth is known, the other possibilities are murdered, massacred. But most unpleasantly we are left alone, naked, face to face with both our own wild imaginations and our own stupid blind spots. Life is always sweeter when the dice are still in the air. Bruce DeSilva is an Edgar and Macavity Award-winning author whose most recent novel is The Dread Line.